We're not just another ERP Vendor – we are The ERP Partner that simplifies your success! SYSPRO is one of the longest standing independent, international vendors of business software solutions and services. With over 30 years' experience in the ERP industry, we have a wealth of knowledge to assist you in configuring a system tailored specifically to your business needs. Human relations are key to our approach and as such we have a 90% customer retention rate and an equally impressive staff retention rate. By building a strong relationship with the right people in your organisation, we create the perfect marriage of skillsets to ensure a smooth and efficient ERP implementation. A successful implementation ensures a solid foundation for your enterprise today while also ensuring your ability to grow and adapt to changes in your industry, the economy in general and the global marketplace. 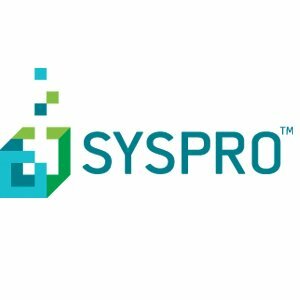 Your partnership with SYSPRO ensures continued success from the discovery phase right throughout the implementation, training and on-going support of your system. SYSPRO has a proven track record of managed sustainable growth and is operational in over 60 countries, across six continents with over 1500 channel and support partners. Backed by a dedicated and professional team, SYSPRO provides software solutions and services to more than 14,500 customers within vertical markets ranging from manufacturing and distribution to financial services. SYSPRO offers all the professional services required to ensure that you will be able to leverage your investment in SYSPRO not only in the short-term but for many years to come.